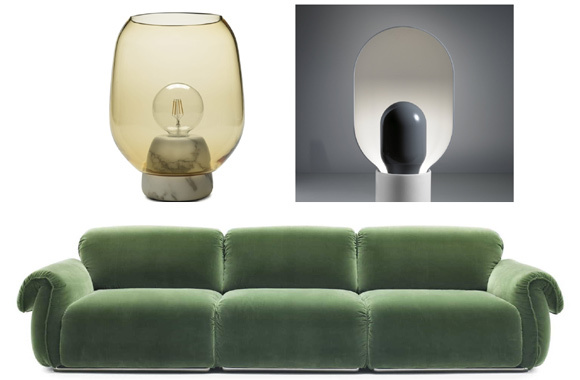 Dubai, UAE (28 March 2019): Natuzzi Italia, one of the internationally acclaimed Italian luxury furniture brands, launched the new Icon collection consisting of modular sofa, side tables, end tables and lamps. The Icon sofa is reminiscent of an authentic Natuzzi “Icon”, model 641 of 1989 representing “visual comfort” characterized by the brand in the 1980's and 90's. With its soft forms and round and curvy appearance, the design of the Icon sofa boasts elegance and discerning taste. The modular sofa is available in a wide range of high quality fabric and leather of the Natuzzi Italia collection.